Part of the reason The Avengers is doing so well is because it was the result of a slow and well planned and executed build -- one character at a time; one movie at a time. And even as they were making gobs of money with the individual films, everything was being set up for a big team-up. We knew years ahead of time that a mega-movie featuring ALL of these characters was growing ever closer. So why no JLA movie? Maybe because apart from the Superman movies and the two separate Batman franchises, the top DC characters have never really been given a chance on the big screen. 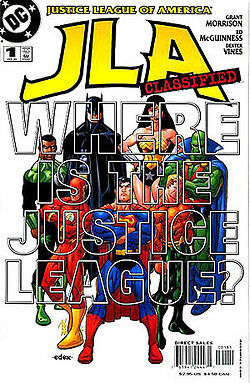 Instead, we've inexplicably seen lesser characters like Catwoman, Jonah Hex, and Swamp Thing. Sure, we got Green Lantern last year -- but why no Flash movie? Why no Aquaman movie? How about Green Arrow and Black Canary? (They're at least as movie-worthy as their Marvel equivalents, Hawkeye and Black Widow.) And why no Wonder Woman? All are great characters, fully capable of carrying one (or more) films on their own. 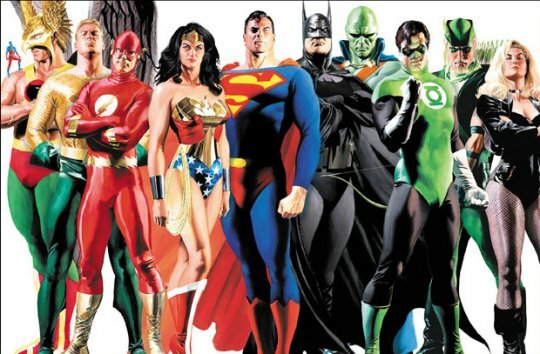 If Hollywood would do these movies right, and then put these characters together with Superman and Batman in a Justice League of America movie, you'd have a film property that could rival, perhaps even surpass The Avengers. Yet a quick search of the web for DC Comic movies gives us very little to hang our hopes on. Green Lantern 2 appears to be on track, but Aquaman can't seem to make it off the small screen. The Aquaman TV series that spun-off of Smallville a few years ago never got picked up by a network and was released on iTunes. A movie version (reportedly attached to Leonardo DiCaprio's production company) remains little more than a rumor -- one slated for 2015 at the earliest. Screenwriter David S. Goyer, to his credit, has completed scripts for both The Flash and Green Arrow and has fought to get them into production. Both are (or at least were) close to being official, but The Flash (if and when it is ever confirmed) now seems more likely to come from Green Lantern writer Greg Berlanti. 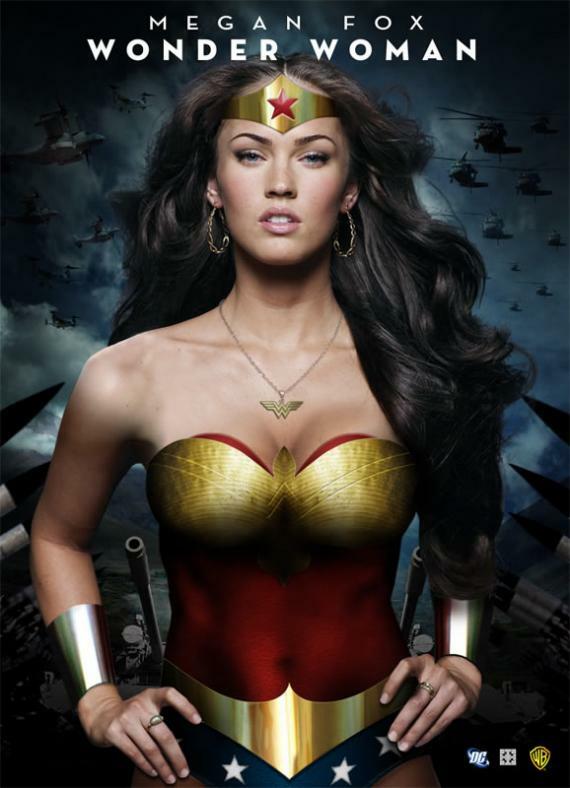 And a Wonder Woman movie, despite tons of rumors about Megan Fox starring in the title role, also seems a long ways off. (Even the updated TV series got shelved.) Serious web searching finds the film in the always-vague "in development" stage. 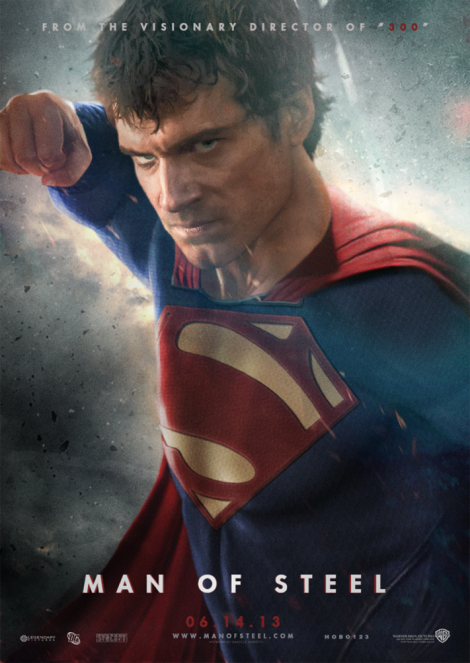 Maybe the new Superman movie, Man of Steel, starring Henry Cavill and set for release next June, will do well and serve as the first step towards a JLA movie. All signs point to Man of Steel being a can't miss hit. Let's face it, if you can't get a hit superhero movie by teaming director Zack Snyder (Watchmen) with screenwriter Goyer and producer Christopher Nolan (the duo behind Batman Begins, The Dark Knight and The Dark Knight Rises) then there's just no hope. John Ritter, one of the best physical comedians and television actors we've seen, is best known for his role as Jack Tripper on Three's Company. Though he never really made it big in movies, if you're a fan, you should catch Real Men and this film, Skin Deep. Ritter plays a boozy womanizer who in this scene is about to bed yet another conquest while wearing a glow-in-the-dark condom. When the girl's boyfriend pays a surprise visit and then dons his own glow-in-the-dark condom, hilarious chaos ensues. Director Blake Edwards shot this scene with just the right mix of raunchiness and reserve. So maybe you're wondering where've I been the past 3 months. Sorry, but I've been doing rewrites on one of my screenplays. There's some encouraging things happening and I've made new connections that could perhaps lead to getting something sold and maybe even into production. I'm also about halfway through a new screenplay and that will be taking up most of my time -- probably until mid-summer. Still, I'll try to find time to blog and I want to start by talking about this year's crop of summer movies, which I think is unequivocally the best slate of summer films in more than a decade. No exaggeration, Hollywood has outdone itself. I look at this lineup of summer releases and I see over a dozen films that I would put on my "Definitely Must See" list. 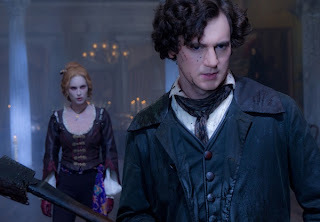 I'm especially stoked for Snow White and the Huntsman, Prometheus, The Avengers, Ted, Rock of Ages, and Abraham Lincoln: Vampire Hunter. But for this blog entry, I'm not even gonna waste your time going over the list of hugely anticipated and hyped movies that you can read about on a thousand other websites. What I'm going to focus on here are some of the "under the radar" pics that won't have as much hype, expectation, or marketing push behind them as The Amazing Spider-Man, The Dark Knight Rises or G.I. Joe: Retaliation, for example. 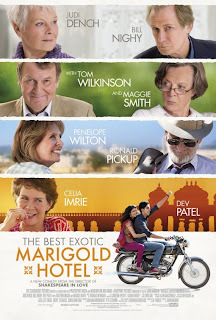 Directed by John Madden (the guy who did Shakespeare in Love, not that fat football announcer) it's an English dramedy about a group of senior citizens who retire, move to India and find it's not all they thought it would be. Cameron Diaz, Elizabeth Banks, and Jennifer Lopez (Average age: 40... Just sayin') play expectant mothers in a film that traces several interconnected couples as they prepare to welcome their new babies. For its ensemble cast that also includes Chris Rock, Anna Kendrick, Dennis Quaid, and Glee's Matthew Morrison. 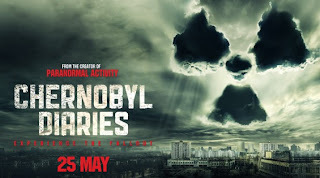 Fans of the Resident Evil and Walking Dead series might enjoy this horror flick about six tourists who visit the abandoned Soviet city of Pripyat (site of the Chernobyl nuclear disaster) which turns out to be not entirely abandoned after all. Because director Oren Peli's track record (Paranormal Activity, Insidious) shows he's definitely an expert in the thriller/horror genre. *WANTED* Someone to go back in time with me. This is not a joke. You'll get paid after we get back. Must bring your own weapons. Safety not guaranteed. I have only done this once before. Because of the intriguingly amusing premise and because it killed at the Sundance Film Festival. The Underworld movies, True Blood, Vampire Diaries, Priest, Fright Night, Dark Shadows, Breaking Dawn... Still no end in site for all this vampire crap. But the historical backdrop this film is set against offers something different. Honest Abe fights to win the Civil War and reunite the nation... while battling hordes of vampires looking to take over the country. Because it's one of those rare instances where there's no other information needed –- the film's title gives you the concept, the plot and the hook. 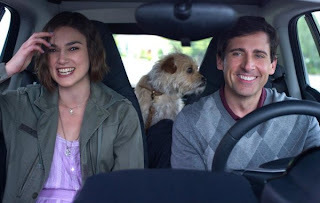 With an asteroid about to destroy life on Earth, a man (Steve Carell) hits the road to find his high school sweetheart before the world ends. Because it's the first (and likely the last) apocalyptic/road-trip/romantic-comedy you'll ever see. It's Scarface meets Blow with a smattering of Breaking Bad. A murderous Mexican drug cartel tries to move in on three friends running a small marijuana business. If you're an Oliver Stone fan (he co-wrote and directed) and are in the mood for a WHOLE lot of killing. Mark Wahlberg stars as a grown man whose teddy bear came to life when he was a child...and hasn't left his side since. To find out what Seth (Family Guy) MacFarlane can do when he's freed from the constraints of network television and allowed to sink his teeth into an R-rated feature. Suburban dads who formed a neighborhood watch group as an excuse to get out of the house find themselves facing an alien invasion. For the comedy pairing of Seth Rogen, Vince Vaughn and Ben Stiller. 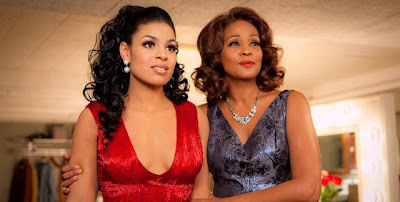 American Idol winner Jordin Sparks hopes this remake of the black cinema classic will do for her what Dreamgirls did for Jennifer Hudson. If you want to see the late Whitney Houston's final film performance. Still, the source material of choice for Hollywood producers these days seems to be fairytales. It began in earnest in 2010 with the success of Tim Burton's adaptation of Alice in Wonderland and continued last year with the release of Red Riding Hood and Beastly (a modern day retelling of Beauty and the Beast.) 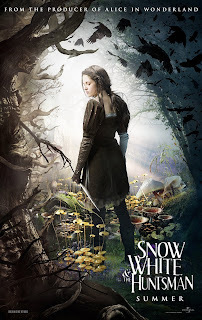 Last fall saw the debut of two new TV series based on fairytales (Grimm and Once Upon a Time) and the trend seems to be peaking this year with not one, but TWO soon-to-be-released Snow White features -- the campy Mirror Mirror, and the darker, edgier Snow White and the Huntsman. (The spec screenplay for the latter sparked a bidding war in Hollywood and eventually sold for an astonishing $3 million, one of the highest figures ever paid for a movie script.) Both of the Snow White films are big budget productions starring Academy Award winners (Julia Roberts and Charlize Theron, respectively) and SWATH in particular is a summer release that's already being aggressively marketed, so the film's producers are clearly counting on it being a hit. Also in the can and ready to go is Hansel & Gretel: Witch Hunters (which like SWATH, adds a vigilante spin to the traditional fairy tale) and Warner Bothers' Jack the Giant Killer. 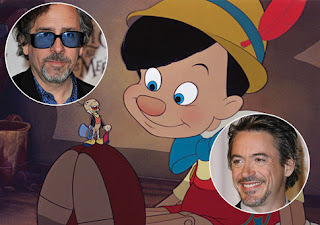 Other fairy tale-based movies in various stages of production include Enchanted 2, Pan, which turns the tables and casts Peter Pan as a kidnapper and Captain Hook as a police officer on his trail; Beauty and the Beast starring Guillermo del Toro and Harry Potter alum Emma Watson; and a new adaptation of Pinocchio with director Tim Burton and star Robert Downey Jr. attached. 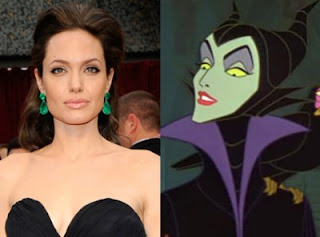 And just confirmed yesterday was Maleficent, a Sleeping Beauty retelling with Angelina Jolie in the title role as the evil queen. You wonder what took Hollywood so long to begin what looks to be an exhaustive development of fairytale-based movies. Sure, they've been producing animated features for decades -- in Disney's case, for more than 70 years. But with a built in audience already familiar with the characters and stories, and with nearly all of literature's most well known fables and fairytales (including those by the Brothers Grimm and Hans Christian Anderson) now in the public domain (meaning producers are free to make movie versions without having to pay out licensing fees or royalties) it's surprising that Tinseltown hasn't begun pumping out live action versions in earnest until now. One of Bruce's celebrity students was screenwriter Sterling Silliphant. Silliphant, who won an Oscar for In the Heat of the Night, became good friends with Bruce and wrote a part for him in the 1969 film Marlowe. Bruce plays a heavy sent to warn private investigator Phillip Marlowe (James Garner) off a case. Bruce does this by demolishing the guy's office with a flurry of kicks and chops and a flying kick that takes out an overhead light. This scene was Bruce's first appearance in a feature-length Hollywood picture. This one makes it purely on the novelty factor. The second season of the Batman TV series featured a crossover episode where the Green Hornet and Kato fought and later teamed up with the Batman and Robin (Burt Ward.) On the day this was filmed, Bruce (as a joke) pretended he was pissed off and intended to fight Ward for real. Ward repeatedly backed away from Bruce and tried to remind his opponent that it was “only a TV show”. Only after Bruce could no longer keep a straight face did he let the terrified Ward in on the gag. A classic fight against the world's second most famous martial artist, filmed in an incredibly unique and exotic location. Okay, I know all they did was run the camera at a faster frame rate and slower shutterspeed, but 40 years later it still looks WAY cool. 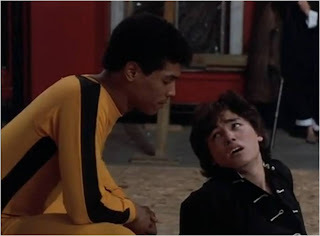 In Game of Death, Bruce plays a retired martial arts champion forced to infiltrate a heavily guarded pagoda. Bruce fights his way up the five-story structure, facing off against a different martial arts master on each level. Incredibly, Bruce never had extensive training with “nunchucks” and had only learned to use them a few years earlier. In Fist of Fury (previously known in the states as The Chinese Connection) Bruce seeks revenge against a Japanese school that has insulted his people and poisoned his master. Here, Bruce takes out every last student and their sensei. The victory despite overwhelming odds, as well as the overhead camera angles and intermittent dance-like choreography in this scene is emulated in The Bride vs The Crazy 88 battle in Quentin Tarantino's Kill Bill: Volume 1. In Enter the Dragon, Bruce warns his opponent, “Boards don't hit back.” Still I always feel bad for Bob Wall. He gets housed in several Bruce Lee movies but is particularly humiliated here. Look at him... face all cut up, kicked square in the nuts, can barely stand or defend himself, and then he gets stomped to death... Sheesh! 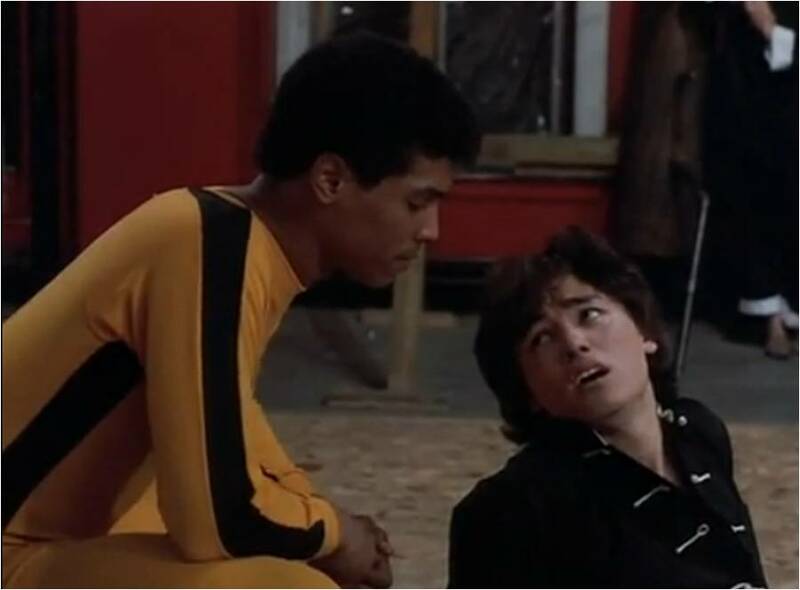 The iconic yel low and black track suit Bruce wears has been replicated and paid homage to in everything from video games, to SpongeBob Squarepants cartoons, Sugar Ray's “When It's Over music video, and numerous films including Revenge of the Nerds, Kill Bill, and The Last Dragon. Bruce's friend screenwriter Sterling Silliphant was executive producer of the 1971 crime series Longstreet, about a blind insurance investigator played by James Franciscus. 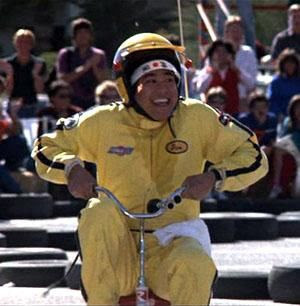 Silliphant got Bruce a recurring role on the show as Li Tsung, an antiques dealer and martial arts expert. Much of the dialogue in the scenes between Bruce and Franciscus incorporates the principles of Jeet Kune Do, a new, less formal, more eclectic and flexible approach to martial arts that Bruce had recently developed. The “Be water” quote from one of the Longstreet episodes was later recalled in this interview Bruce did with Canadian reporter Pierre Berton and is now considered central to Bruce's ideaology and philosophical legacy. The slashes across the face and chest, tasting his own blood, and of course all those cool mirrored reflections... It's Bruce's signature scene and still one of the best in any martial arts movie.